The West of England AHSN congratulates University Hospitals Bristol NHS Foundation Trust (UHB) for achieving an ‘outstanding’ rating from the Care Quality Commission (CQC) this week. We’re incredibly proud of their achievements, particularly those with a focus on patient safety. A number of the exemplar interventions and tools sited in the report have been recognised at a local level and are incorporated into our wider West of England Patient Safety Collaborative programmes. The SHINE Emergency Department (ED) Safety Checklist has now been rolled out to all EDs in the West of England, supported by our regional ED Collaborative. It also references the work of our wider West of England Deteriorating Patient programme: “The trust used the national early warning scoring system (NEWS) to alert staff to the deteriorating patient. This had been implemented in 2015. Staff recognised and responded to changing risks to patients on wards. Records reviewed showed that staff consistently responded to scores, and identified those who were deteriorating and responded appropriately”. 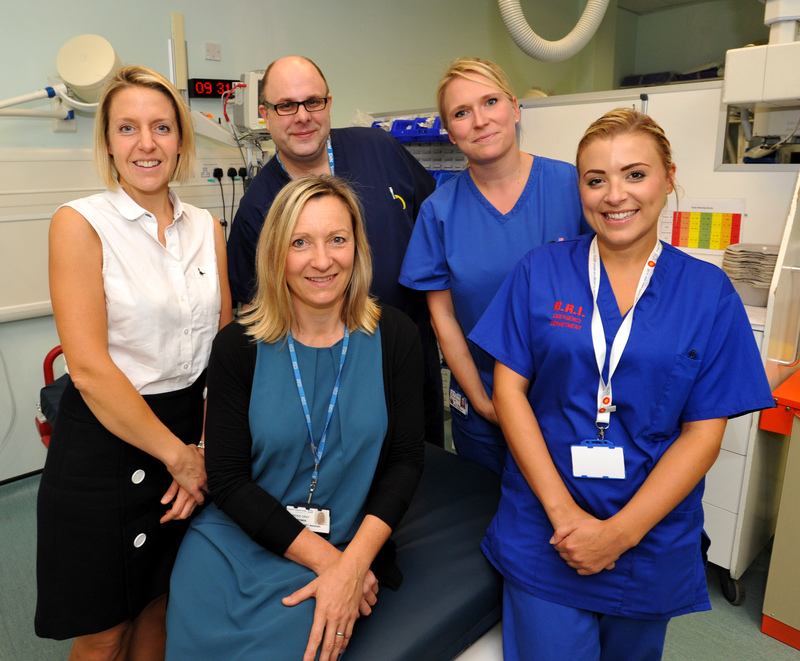 Deborah Evans, Managing Director of the West of England AHSN comments: “We are very proud of UHB, particularly the recognition of their efforts to improve patient safety. We know that the CQC remains concerned nationally about the recognition of the deteriorating patient across the NHS, but they specifically commended UHB on their NEWS and ED Safety Checklist work, which are both interventions designed to address this very issue.